Proceedings of an international workshop held March 18 through 20, 2001 at Laboratoire Souterrain du CNRS, Moulis, Ariege, France. 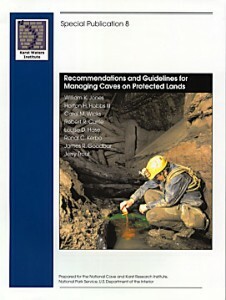 Recommended Citation: David C. Culver, Louis Deharveng, Janine Gibert, and Ira D. Sasowsky, Eds., 2001, Mapping Subterranean Biodiversity. Selected papers and abstracts of the symposium held March 18-20, 2001, Moulis, France. Karst Waters Institute Special Publication 6, Karst Waters Institute, Leesburg, Virginia, 111 p.